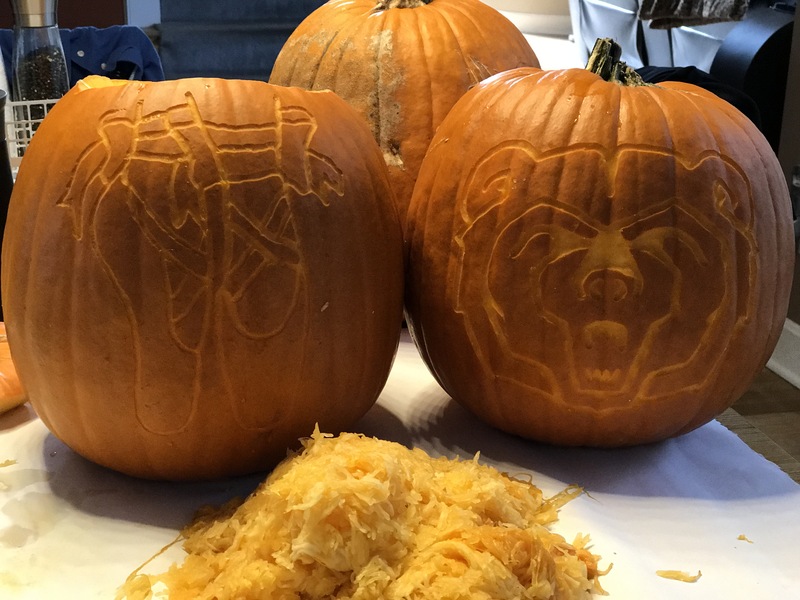 I love carving pumpkins on Halloween! 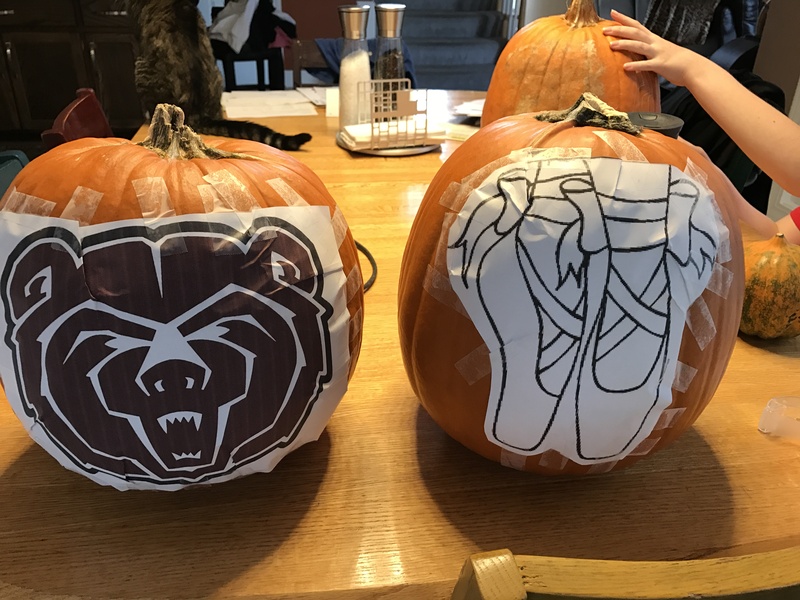 This year I made a pair of ballet pointe shoes for Bree, and the Missouri State University bear for Jacob. 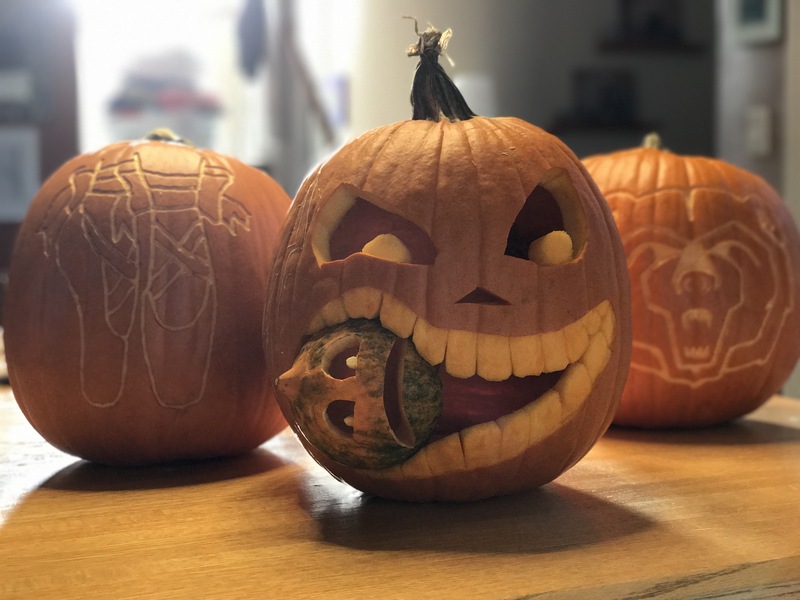 I also made a pumpkin eating a pumpkin, because…why not? Images below…click a picture for a larger version. 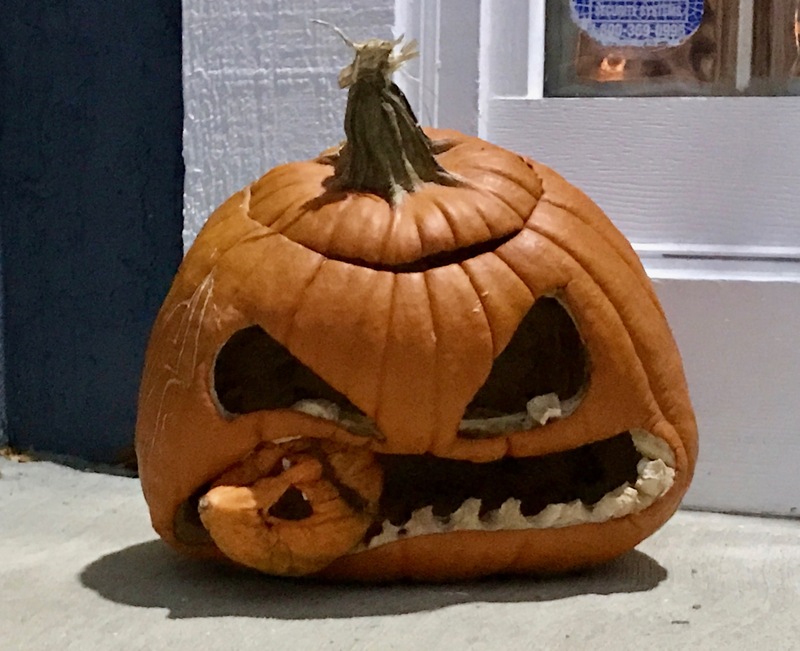 This entry was posted on Friday, October 28th, 2016 at 11:29 am	and is filed under Uncategorized. You can follow any responses to this entry through the RSS 2.0 feed. You can leave a response, or trackback from your own site.